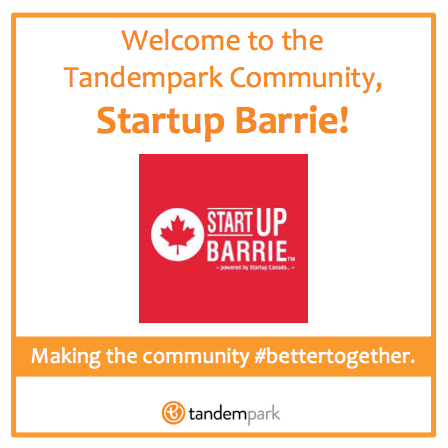 Well, to recap, last month we were excited to announce that Startup Barrie was on board and as our first ‘official’ organization member, which was awesome! Their enthusiasm for the way we are going to help with their volunteer management was only challenged by how excited they are about a community being built around the very act of volunteering. They are “a place for budding and seasoned entrepreneurs alike to gather, learn from each other and get access to invaluable resources, and programming” and we couldn’t be happier to be a small part of what they are doing in this amazing city! This month we were very (very, very, VERY) happy to add two more organizations to our community as well. 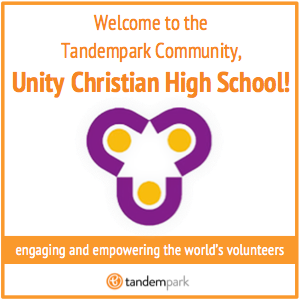 Georgian College Students’ Association (GCSA)–Barrie AND Unity Christian School have also chosen to use Tandempark for their volunteering this year! What is really encouraging about this growth, is not just that we are increasing in numbers (don’t get me wrong, it’s REALLY exciting to see more and more people joining Tandempark) but the enthusiastic feedback we continuing to receive. 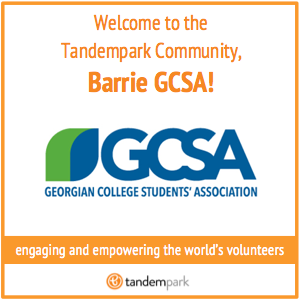 When we first set up GCSA–Barrie on Tandempark, they were able to set up a test project, create a position, and add a shift before we had a chance to give any instructions on how to do so. And from what I can tell about UI, I’m confident that’s a good thing. Afterall, a User Interface is like a joke. If you have to explain it, it’s not that good. Of course, loving the community is just part of who Chad is. as the founder of The Creative Space and an active volunteer, it’s no surprise that he sees how Tandempark can empower communities to make the world awesome. Thank you so much, Chad and everyone at Rhubarb Media! An official announcement will follow but I can’t keep it a secret any longer. The news is just too good. Because of all the development that has been unfolding on the development side, I have simply not been making the time to take full advantage of the benefits smOffice offers. I’ve said for three months that I will be taking up yoga and now that we’ve changed the calendar over to September, I’m disappointed to say I still haven’t made it out. We’ve listed all of these lovely organizations on the front page of our website so be sure to check them out!